Summary: Mice that carry a gene associated with red hair have reduced production of dopamine in the substantia nigra and are more susceptible to toxins that can damage these dopaminergic neurons. A gene variant that produces red hair and fair skin in humans and in mice, which increases the risk of the dangerous skin cancer melanoma, may also contribute to the known association between melanoma and Parkinson’s disease. In their paper appearing in the March issue of Annals of Neurology and previously published online, Massachusetts General Hospital (MGH) investigators report that mice carrying the red hair variant of the melanocortin 1 receptor (MC1R) gene have reduced production of the neurotransmitter dopamine in the substantia nigra — the brain structure in which dopamine-producing neurons are destroyed in Parkinson’s disease (PD) — and are more susceptible to toxins known to damage those neurons. Inherited variants of the MC1R gene determine skin pigmentation, with the most common form leading to greater production of the darker pigment called eumelanin and the red-hair-associated variant, which inactivates the gene’s function, increasing production of the lighter pigment called pheomelanin. Not only does pheomelanin provide less protection from ultraviolet damage to the skin than does eumelanin, but a 2012 study led by David Fisher, MD, PhD – chief of the MGH Department of Dermatology, director of the Cutaneous Biology Research Center and a co-author of the current study — found it also may directly contribute to melanoma development. While patients with Parkinson’s disease have a reduced risk of developing most types of cancer, their higher-than-expected risk of melanoma is well recognized, as is the increased risk of PD in patients with melanoma. Several recent studies also have found evidence suggesting increased PD risk in individuals with red-hair-associated variants of MC1R, so the current study was designed to explore that potential role of the gene in PD and specifically in dopamine-producing neurons of the substantia nigra. Inherited variants of the MC1R gene determine skin pigmentation, with the most common form leading to greater production of the darker pigment called eumelanin and the red-hair-associated variant, which inactivates the gene’s function, increasing production of the lighter pigment called pheomelanin. NeuroscienceNews.com image is for illustrative purposes only. The team’s experiments showed that, in mice with the common form of MC1R, the gene is expressed in dopamine-producing neurons in the substantia nigra. The red-haired mice in which the gene is inactivated because of a mutation were found to have fewer dopamine-producing neurons and as they aged developed a progressive decline in movement and a drop in dopamine levels. They also were more sensitive to toxic substances known to damage dopamine-producing neurons and had indications of increased oxidative stress – which the 2012 study implied was involved in pheomelanin-associated melanoma risk – in brain structures adjacent to the substantia nigra. Treatment with a substance that increases MC1R signaling reduced the susceptibility of mice with the common variant to a neurotoxin, further supporting a protective role for the gene’s activity. “Since MC1R regulates pigmentation and red hair is a shared risk factor for both melanoma and Parkinson’s disease, it is possible that, in both conditions, MC1R’s role involves pigmentation and related oxidative stress,” says Chen, an assistant professor of Neurology at Harvard Medical School. “Our findings suggest further investigation into the potential of MC1R-activating agents as novel neuroprotective therapies for PD, and together with epidemiological evidence, may offer information that could guide those carrying MC1R variants to seek advice from dermatologists or neurologists about their personal risk for melanoma and Parkinson’s disease.” Chen’s team is continuing to pursue this line of research. The senior author of the Annals of Neurology report is Michael Schwarzschild, MD, PhD, director of Molecular Neurobiology Laboratory at MGH-MIND. Along with David Fisher, the study’s co-authors are Waijiao Cai, MD, PhD, Michael Maguire, MS, Bailiu Ya, MD, PhD, Fuxing Zuo, MD, PhD, Robert Logan, MS, Hui Li, MD, PhD, and Charles R. Vanderburg, PhD, MGH-MIND; Hongxiang Chen, MD, PhD, and Katey Robinson, PhD, MGH Cutaneous Biology Research Center; and Yang Yu, PhD, and Yinsheng Wang, PhD, University of California, Riverside. Funding: The study was supported by National Institute of Neurological Disorders and Stroke grants 1R21 NS090246-01A1 and K24 NS060991; U.S. Department of Defense grant W81XWH-11-1-0150; and grants from the National Natural Science Foundation of China, the RJG Foundation, the Michael J. Fox Foundation and the Milstein Medical Asian American Partnership Foundation. Mass General “Red Hair Gene Variant May Underlie Association Between Parkinson’s and Melanoma.” NeuroscienceNews. NeuroscienceNews, 2 March 2017. 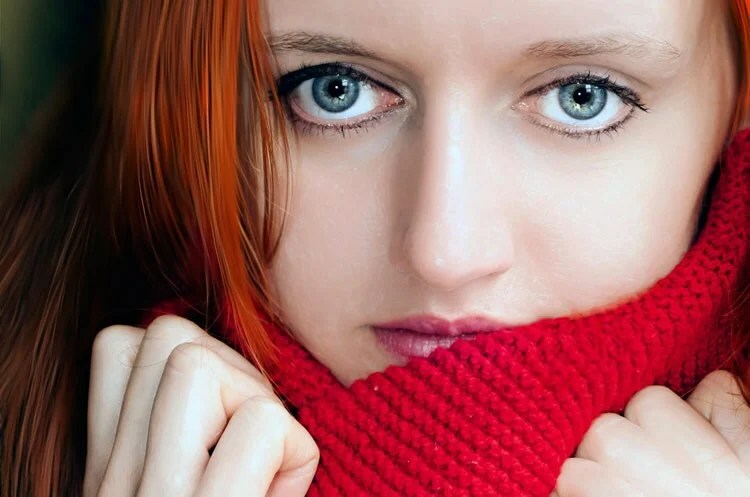 Mass General “Red Hair Gene Variant May Underlie Association Between Parkinson’s and Melanoma.” http://neurosciencenews.com/genetics-red-hair-parkinsons-cancer-6185/ (accessed March 2, 2017). Individuals with Parkinson disease are more likely to develop melanoma, and melanoma patients are reciprocally at higher risk of developing Parkinson disease. Melanoma is strongly tied to red hair/fair skin, a phenotype of loss-of-function polymorphisms in the MC1R (melanocortin 1 receptor) gene. Loss-of-function variants of MC1R have also been linked to increased risk of Parkinson disease. The present study is to investigate the role of MC1R in dopaminergic neurons in vivo. Genetic and pharmacological approaches were employed to manipulate MC1R, and nigrostriatal dopaminergic integrity was determined by comprehensive behavioral, neurochemical, and neuropathological measures. MC1Re/e mice, which carry an inactivating mutation of MC1R and mimic the human redhead phenotype, have compromised nigrostriatal dopaminergic neuronal integrity, and they are more susceptible to dopaminergic neuron toxins 6-hydroxydopamine and 1-methyl-4-phenyl-1,2,3,6-tetrahydropyridine (MPTP). Furthermore, a selective MC1R agonist protects against MPTP-induced dopaminergic neurotoxicity. Our findings reveal a protective role of MC1R in the nigrostriatal dopaminergic system, and they provide a rationale for MC1R as a potential therapeutic target for Parkinson disease. Together with its established role in melanoma, MC1R may represent a common pathogenic pathway for melanoma and Parkinson disease.